Physicians are often pigeonholed as technophobes because they fear that using technology might threaten patient privacy and their own incomes. But, an increasing number of physicians are texting health messages to patients, tracking disease trends on Twitter, and communicating with patients via email. Kansas City pediatrician Natasha Burgert is one of this new breed, offering child-rearing advice on her blog, Facebook and Twitter pages, and answering patients’ questions by email and text messages. According to Burgert, she sends messages between checkups and it’s easier than calling a lot of people back at the end of the day. Sarah Hartley, whose daughters are Dr. Burgert’s patients, loves having e-access to her pediatrician and says that even emails late in the evening typically are responded to quickly. “It’s so useful,” Hartley said. “Sometimes parents get concerned about a lot of things that maybe aren’t necessarily big deals” and getting after-hours reassurance is comforting. A survey of 501 randomly selected doctors found that more than 20 percent sent emails to patients over secure networks. Another six percent communicated with patients through other social media. The American Medical Association recognizes the benefits of using social media, but also cautions doctors to protect patient privacy and “maintain appropriate boundaries” with patients. In a case of technology use gone bad, a Rhode island state disciplinary board last year reprimanded an emergency medicine physician for “unprofessional conduct” and fined her $500 after she posted on Facebook about a patient’s injury. Even though she didn’t post the patients names, others figured out the identity. Hard numbers are scarce on exactly how many of the nation’s nearly one million physician communicate virtually with their patients, but anecdotal evidence suggests the numbers are on the rise. The New York City Department of Health recently launched a campaign to get New Yorkers to make their waistlines smaller by controlling their portion sizes when ordering food and beverages. “Consuming too many calories can lead to weight gain,” said city Health Commissioner Thomas Farley. “If New Yorkers cut their portions, they can cut their risk.” The “Cut your portions. Cut your risk” campaign is billed as “hard-hitting” and has the purpose of making certain that people understand that large meals cause obesity. 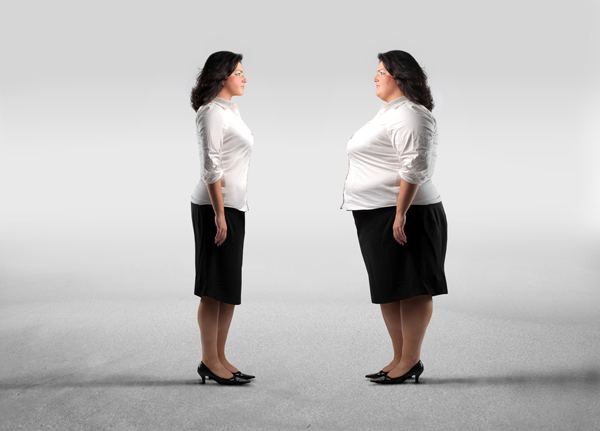 Even worse, obesity can cause diseases like diabetes. In one city poster, a man whose leg has been amputated because of Type 2 diabetes sits behind a graphic showing how soft drink portions have grown over the years. Over the last 40 years, according to the Health Department, serving sizes for sugary soft drinks have grown four times, and the amount of French fries in a single order has tripled. As a result, “a single meal could balloon to contain many more calories than the amount an adult needs for an entire day” – roughly 2,000. Not all are in agreement with Farley’s campaign. The New York ads create an “inaccurate picture” of the impact of soft drinks, argues Stefan Friedman, a spokesman for the American Beverage Association. “Portion control is indeed an important piece of the solution to obesity,” he said. “Instead of utilizing scare tactics, the beverage industry is offering real solutions like smaller portioned containers and new calorie labels that show the number of calories in the full container, right up front, to help people chose products and sizes that are right for them and their families,” he said. The posters are appearing on subway stops around the city for the next three months. Mayor Bloomberg dismissed his critics who claim that the ads were too graphic and disturbing: “What do you want to do? Do you want to have people lose their legs or do you want to show them what happens so that they won’t lose their legs? Take your poison. Which do you want?” said Bloomberg. Many healthcare experts agree with Bloomberg. “Obesity rates in adults rose to 35.7 percent from 30.5 percent between 1999 and 2010, compared with rates that nearly doubled in the two previous decades, the Centers for Disease Control and Prevention (CDC) reported . The rate among boys climbed 29 percent, surpassing girls for the first time, according to the CDC. More than 78 million American adults — as much as one third of the population, and about 12.5 million children were considered obese in 2009- 2010, according to a series of studies reported in the Journal of the American Medical Association. The studies are part of a continuing CDC effort to track obesity rates with new numbers every two years. Many of America’s physicians have an embarrassing secret — they are going broke. This quandary is claiming a wide range of casualties, including family physicians, cardiologists and oncologists. Industry insiders are concerned about the trend. Approximately 50 percent of all doctors operate a private practice. If a cash crunch forces the closure of an independent practice, it robs a community of a vital healthcare resource. “A lot of independent practices are starting to see serious financial issues,” said Marc Lion, CEO of Lion & Company CPAs, LLC, which advises independent physician practices about their finances. Doctors say that smaller insurance reimbursements, changing regulations, soaring business and drug costs take away from their practices’ profitability. Some experts counter that doctors’ lack of business sense shares the blame. 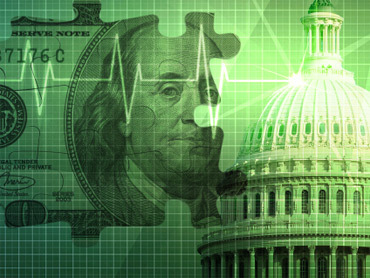 Recent steep 35 percent to 40 percent cuts in Medicare reimbursements for key cardiovascular services, such as stress tests and echocardiograms, have taken a substantial toll on revenue for cardiologists, as an example. Federal law requires that Medicare reimbursement rates be adjusted every year based on a formula tied to the economy’s health. That law says rates need to be cut every year to keep Medicare financially sound. Although Congress has blocked those cuts 13 times over the 10 years, most recently on December with a two-month temporary “patch,” this dilemma haunts doctors every year. Beau Donegan, senior executive with a hospital cancer center in Newport Beach, CA, is well aware of physicians’ financial woes. “Many are too proud to admit that they are on the verge of bankruptcy,” she said. “These physicians see no way out of the downward spiral of reimbursement, escalating costs of treating patients and insurance companies deciding when and how much they will pay them. “This is a very timely and truthful story for doctors and hospitals in America. This is also a 911 call for U.S. healthcare security. More importantly, when a doctor is ‘$3.2 million in debt’ or has to force 6,000 cancer patients to look for a new doctor”, as reported by CNN Money, “our healthcare system infrastructure earthquake is coming,” says Dr. Jin Zhou, president of ERISAclaim.com, a national expert on PPACA and ERISA appeals and compliance. This 2012 CNN Money report is consistent with an AMA report on March 4, 2011 that 51 percent of doctors in Texas are going broke: “51 percent of Texas doctors dug into personal funds to keep practices afloat in 2010,” Dr. Zhou said. The financial problems are typically experienced by a portion of the remaining 50 percent who wish to operate their own private practices and, as a result, find themselves suffering from the financial stresses faced by so many small businesses in these difficult times. Yet, even among this 50 percent, not all private practices areas are in trouble. For example, surgeons and dermatologists seem to be doing just fine while cardiologists and oncologists, whose business models necessarily make them more susceptible to trouble, are feeling the pain. Part of the blame does rest with changes in Medicare and Medicaid payment policies. Certainly, cardiologists and oncologists, whose practices naturally bring them into contact with more senior citizens, are the most likely to feel the pain when it comes to reduced government payments. Last year, the Centers for Medicare & Medicaid Services (CMS) took a hatchet to what is paid to cardiologists for performing important tests such as echocardiograms, stress tests and other “machine” based testing. But what you may not know is that these reductions were based on a survey conducted by the American Medical Association, at the request of the CMS, that seemed to go out of its way to omit cardiologists in private practice from the survey participants. Why? Because private practice cardiologists have, by and large, dropped out of the AMA and the AMA’s interest was in getting more money set aside for those medical practitioners in other areas of medicine who remain members. Congress’ end of year to-do list inevitably includes the “doc fix” – billions of dollars to avoid deep rate cuts for physicians who treat Medicare’s 48 million patients. Congressmen and Senators always defer the cuts demanded by a 1997 reimbursement formula — known as the sustainable growth rate (SGR) — and which most believe needs to be entirely rewritten. The deferrals are temporary, and the doc fix has become increasingly difficult to pass through a divided and deficit-wary Congress. In 2010, Congress put off scheduled cuts five times, with the longest delay lasting one year. The story is the same heading into 2012. If lawmakers are unable to agree before returning home for the holidays, 500,000 physicians will face a stiff 27 percent cut beginning January 1. Although Congressional leaders have vowed to prevent that, they disagree over how to pay for the fix. There is little doubt some agreement will be reached, but that deal could be delayed until early next year. The cost of congressional intervention, not surprisingly, has grown: Delaying the cuts — the solution Congress has chosen since 2003 — will cost $21 billion for a one-year delay and $38.6 billion for two years. Repealing the formula would add approximately $300 billion to the deficit, according to the Congressional Budget Office. A survey conducted by the Medicare Payment Advisory Commission found that among patients looking for a new primary-care physician in 2010, 79 percent experienced no problems finding one. According to the American Medical Association (AMA), which generally resists limits in reimbursements, nearly 33 percent of primary-care physicians already restrict how many Medicare patients they accept in their practices. Now that the Super Committee has failed to identify $1.2 trillion in cuts from the federal budget, automatic cuts totaling billions for everything from Medicare to biomedical research, start in 2013. Some healthcare sectors will fare better than others. The primary health entitlement programs, Medicare and Medicaid, are protected under the law that created the Super Committee. Automatic cuts will not impact Medicaid, the joint federal-state health program for the poor. Medicare would be cut by two percent – all from payments to hospitals and other providers. The bad news is that unless Congress reworks the legislation mandating the automatic cuts, a series of across-the-board reductions will begin in 2013. The House and Senate appropriations committees must decide how to spread the cuts among various programs. And some of the larger, better-financed lobbies may be able to influence what is cut and what is kept. Officially known as the Joint Select Committee on Deficit Reduction, the Super Committee was unable to meet its deadline to come up with $1.2 trillion of deficit reduction required by the law that created it, much less the $4 trillion that deficit hawks said was necessary to stabilize the finances of the U.S. government, whose debt has topped $15 trillion. The failure ensures that the fiscal debate between Democrats who want to protect social programs and increase revenue by raising taxes on the wealthy; and Republicans who want smaller government and have pledged to reject tax increases will be a fundamental choice confronting voters in 2012. “I never once believed that the Joint Select Committee would be the one to do that,” said Julius Hobson, a senior adviser at the Washington, D.C.-based law firm Polsinelli Shughart and a former AMA official. Can Marilyn Tavenner Save Medicare? President Barack Obama’s choice of Marilyn Tavenner as administrator of the Centers for Medicare and Medicaid Services — to replace Dr. Donald Berwick, whose recess appointment was set to expire at the end of the year – is more likely to survive the Senate confirmation process relatively unscathed. Tavenner started her career as a nurse at Virginia hospitals owned by the Hospital Corporation of America (HCA). Tavenner met with success, rising from chief nursing officer to CEO. In 2004, she was again promoted to HCA’s president of outpatient services, her first national position with the firm. She resigned two years later, when then-Virginia Governor Tim Kaine tapped her to head the state’s Health and Human Resources department. Senator Orrin Hatch (R-UT), the ranking Republican on the Senate Finance Committee, said that the panel would thoroughly scrutinize Tavenner, but did not say he opposes her nomination. Despite Hatch’s mild comment, Tavenner is expected to face some difficult questioning because Senate Republicans have not overtly endorsed her. According to a Republican healthcare lobbyist, “I can’t imagine a lot of support for her,” noting that the high-profile CMS role “always gets sucked into the controversy of the day.” Ultimately, Tavenner is likely to be confirmed for the CMS post. Tavenner is widely seen as a pragmatic administrator who will not rock the CMS boat. “The only way to stabilize costs without cutting benefits or provider fees is to improve care to those with the highest health care costs,” she said. Tavenner also said she opposed Republican efforts to turn Medicaid into a block grant that would limit the amount of federal funding states can receive for the program. “That approach would simply dump the problem on states and force them to dump patients, benefits or make provider cuts or all the above,” she said. Tavenner “brings continuity in terms of implementing the mission,” said Len Nichols, director of George Mason University’s Center for Health Policy Research and Ethics. Mo re than four out of five metropolitan areas do not have a competitive commercial health insurance market because mergers and acquisitions have allowed some insurers to increase their market share, according to a report issued by the American Medical Association. The report studied 368 metropolitan markets and 48 states, and determined that 83 percent had minimal competition among health insurers. In approximately 50 percent of markets, at least one insurer maintained a majority market share of 50 percent or more. In half of the states studied, the two largest health insurers had a combined market share of 70 percent or more. The data shows “the degree of anti-competitive market clout” that some insurers have accrued through mergers and acquisitions, which decreases competition for patients, physicians and employers, said AMA President Peter W. Carmel. Alabama occupied the last place, followed by Alaska, Delaware and Michigan. This latest edition of Competition in Health Insurance: A Comprehensive Study of U.S. Markets is the most comprehensive analysis to date, reporting commercial health insurance market shares and federal concentration measures for all 48 states. The scope of the analysis provides a comprehensive snapshot of fully-insured and self-insured enrollments for both health maintenance organizations (HMOs) and preferred provider organizations (PPOs). One conclusion is “A significant absence of health insurer competition exists in 83 percent of metropolitan markets studied by the AMA. These markets rated ‘highly concentrated’, based on the newly revised Horizontal Merger Guidelines issued last year by the U.S. Department of Justice and Federal Trade Commission. Physicians are the least concentrated segment of the healthcare sector with 78 percent of office-based doctors working in practices with nine physicians or less. The majority of those are in either solo practices or offices with between two and four physicians. Writing in the Washington Post, Ezra Klein points out that one of the major goals of the Patient Protection and Affordable Care Act (ACA) is to create a competitive insurance market. “This is the bill’s first, and most important, step. Right now, the insurance market’s version of competition is pretty brutal. Companies compete to avoid the sickest people and sign up the healthiest people. Offering the best coverage for the lowest cost isn’t much of a priority, because most consumers don’t know whose coverage is best, and the ones who really do know are probably sick customers who spend their days researching this stuff. “Outlawing the bad kind of competition while enabling the good kind, which the bill does, is more than just a humanitarian measure. It’s a cost control. The insurance ‘exchanges’ imitate the market in which federal employees (including congressmen) purchase their health insurance. In the exchanges, insurance products have to be above a minimum level of comprehensiveness (no more insurance that doesn’t cover anything) and their benefits have to be presented in a standard, comprehensible way. The insurers themselves can’t discriminate based on pre-existing conditions, will have to answer to regulators if they attempt to jack up premiums, and will be rated by their customers — a rating that everyone else will see when shopping for their insurance,” according to Klein. A Medicare pilot program started in 2005 chose 10 groups for an experiment in improving quality and controlling costs. This foreshadowed some of the cost-control rules in the Patient Protection and Affordable Care Act (ACA) , with groups given bonuses for meeting approximately 15 quality measures, and for spending at least two percent less than conventional Medicare. This program is a forerunner to the Accountable Care Organization (ACO) model that is one of the prime means by which the ACA’s supporters expect it to control costs. Now that the results are in, the quality issues were met, but the issue of cost proved to be far more difficult to achieve. Started in 2005 by the George W. Bush administration, the experiment offered “performance payments” to participants that met most of 32 measures of quality — half as many as in the proposed rule — and spent at least two percent less for Medicare patients. Despite their spotty financial progress, all 10 medical groups in the experiment met the quality requirements. Additionally the program promoted care innovations, according to administration officials, outside health policy experts and leaders of the groups. The CEO of the Cleveland Clinic hates proposed federal rules for accountable care organizations, saying they create “significant barriers” and would discourage hospitals from adopting the new model of care. Toby Cosgrove made the comments in an eight-page letter addressed to Donald Berwick, though Cosgrove stressed that the Clinic supports the concept of accountable care organizations (ACOs). “Rather than providing a broad framework that focuses on results as the key criteria for success, the proposed rule is replete with (1) prescriptive requirements that have little to do with outcomes; and (2) many detailed governance and reporting requirements that create significant administrative burdens,” according to Cosgrove. To be considered an ACO, organizations must agree to manage all of the health needs of a minimum of 5,000 Medicare beneficiaries for at least three years. ACOs are appealing to hospitals because organizations that save Medicare money will be eligible to share in some of that savings themselves. CMS is accepting public comments on its proposed ACO rules and will issue final rules later this year. Like the Clinic, other leading hospitals have criticized the rules as being too burdensome and providing too little possibility of financial gain. A recent American Medical Association (AMA) survey has determined that claims-processing errors by healthcare insurance companies cost the nation $17 billion a year in pointless administrative costs. The AMA’s study is based on a random sampling of approximately 2.4 million electronic claims submitted in February and March of this year to Aetna, Anthem Blue Cross Blue Shield, CIGNA, Health Care Service Corporation, Humana, the Regence Group, United Healthcare and Medicare. The claims were filed for more than 400 physician groups in 80 medical specialties in 42 states. The typical claims-processing error rate was 19.3 percent, a rise of two percent over 2010 and is expected to add $1.5 billion in administrative costs this year. “A 20 percent error rate among health insurers represents an intolerable level of inefficiency that wastes an estimated $17 billion annually,” said AMA Board Member Barbara L. McAneny, M.D. “Health insurers must put more effort into paying claims correctly the first time to save precious healthcare dollars and reduce unnecessary administrative tasks that take time and resources away from patient care.” To promote a more efficient claims payment system, the AMA’s National Health Insurer Report Card provides a yearly check-up for the largest health insurers and benchmarks the systems they use to manage, process and pay claims. Medicare came out ahead of the commercial insurers, with a 96 percent accuracy rate. The lowest rated firm was Anthem Blue Cross, at 61 percent. Anthem’s parent company, WellPoint Inc., is expanding electronic claims processing operation to improve accuracy. To help physicians enhance their management of each insurer’s claims-submission requirements, the AMA’s Practice Management Center offers user-friendly online resources for preparing claims, following their progress and appealing them when necessary. The Practice Management Center’s educational materials and practical tools are available online at www.ama-assn.org/go/pmc. Another of the report’s findings is that physicians were not reimbursed by healthcare insurance companies on almost 23 percent of submitted claims. The reason usually provided for non-payment are deductible requirements that shift payment responsibility to the patient until a dollar limit is met. According to AHIP president Karen Ignani,“Administrative simplification that benefits consumers and the physicians who serve them is a top priority for our community. Recent data from PricewaterhouseCoopers indicate administrative costs have been stable for four decades. As a result of the move to electronic processing, the cost for each claim has actually declined, enabling insurers to provide value added services to consumers, such as disease management programs, without contributing to rising healthcare costs. AHIP data indicate that virtually all ‘clean’ claims are processed within 30 days. Tags: Aetna, AMA's Practice Management Center, AMA’s National Health Insurer Report Card, America’s Health Insurance Plans, American Medical Association, Anthem Blue Cross Blue Shield, Cigna, Claims-processing errors, Deductible requirements, Heal the Claims Process, Health Care Service Corporation, Healthcare insurance companies, Humana, Medicare, PricewaterhouseCoopers, The Regence Group, United Healthcare, WellPoint Inc.